Find the pleasure of traveling with a scooter ! 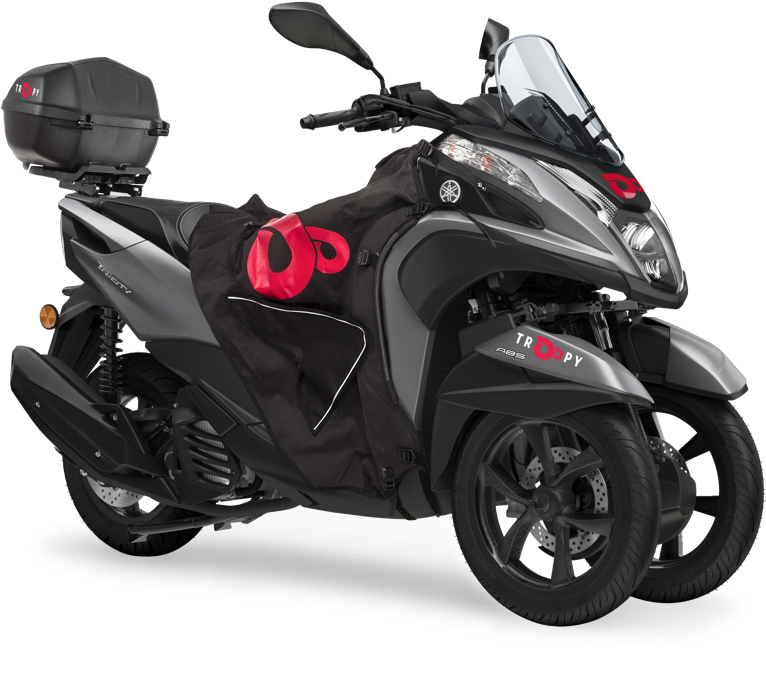 Ride with confidence on a Yamaha 125 cm3 three-wheeled scooter equipped to take you anywhere in Paris and its region. Light, compact and agile, our scooter offers maximum freedom for your travels. Troopy is a subscription-free service, you only pay for renting the scooter. Insurance and fuel are included to spare you any stress ! Stable and very accessible, our Tricity scooter offers unique road comfort. Its equipment will keep you warm and sheltered from the rain. 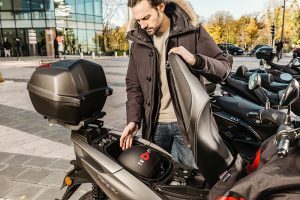 Our scooter has more than 200km autonomy and allows you to reach Paris and its suburbs without any constraints! So why not escape for dinner in Sceaux or a trip for two to Versailles? Our scooter is respectful of the regulations that aim to limit polluting gas emission and ensure the safety of two-wheeler drivers. Book a fully-equipped three-wheel scooter in a single click ! Or your second helmet ! Bring someone along and enjoy the comfort and safety of a three-wheel scooter. Appointments all around Paris with a colleague, a real estate visit with a client or just a romantic stroll? Everything is now possible with Troopy. 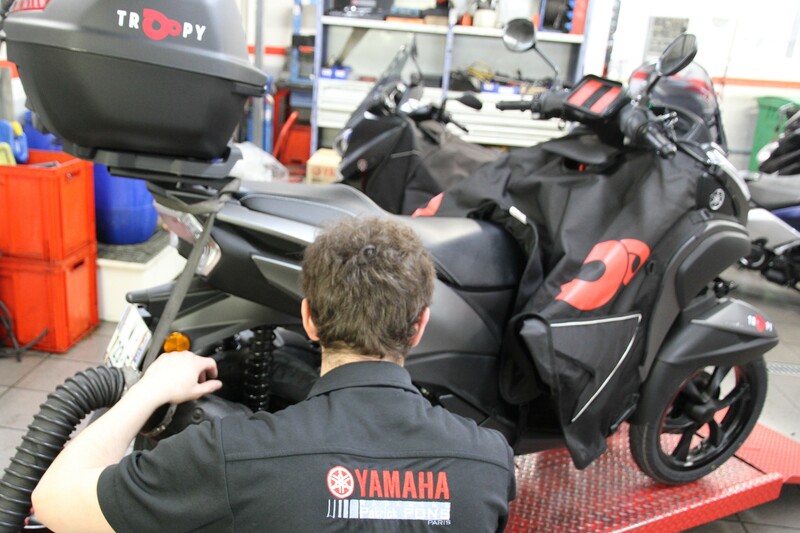 All TROOPY scooters are reviewed daily by our field technicians and regularly in the network of official YAMAHA dealers. 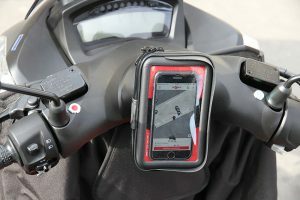 You can enjoy a fleet of performing scooters safely, the latest applicable standards. 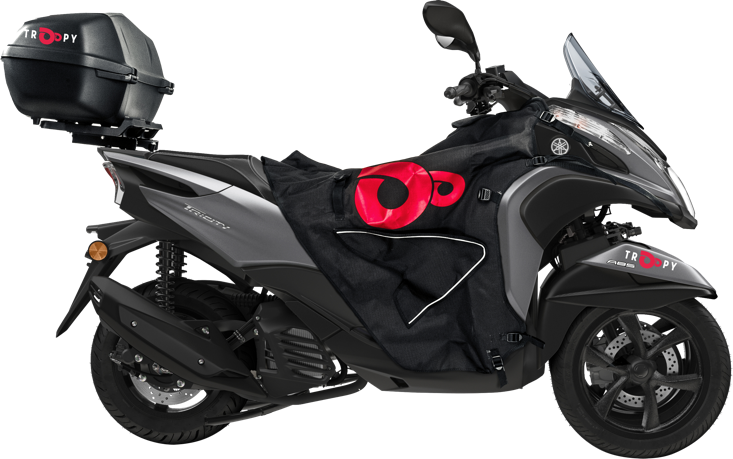 Free from the worries of a maintenance book, making appointments and expenses inherent to the possession of a scooter, you can RIDE CAREFREE without having to oversee maintenance! Yamaha Motor Europe provides technical support for the development of TROOPY.